As a former DUI Prosecutor, Amy has more than 20 + years experience – exclusively in DUI defense. Call (877) 366-9440 Today for your free consultation. 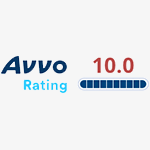 “I was going through a very stressful time and was able to worry less once I hired Amy. She was with me every step of the way.” Call (877) 366-9440 for Morell Law DUI Defense to Help With Your Case. Amy Morell is dedicated to aggressively defending your rights in DUI, felony, and misdemeanor criminal case. Morell Law Firm is 100% DUI Defense. Call 24/7 (877) 366-9440 today! Protect your freedom and future – contact Amy Morell today. Morell Law Firm aggressively fights for our clients. Don't Delay - Call Now. DUI in the Bay Area? Whether you are arrested in San Francisco, East Bay, Oakland, San Jose, Peninsula, Marin, Sonoma or Napa, your case and the procedures you face are unique. With 7 locations in the Bay Area, Morell Law Office is here to help. Contact us 24/7 for a free initial consultation about your case. Experience matters! Amy Morell has devoted 100% of her legal practice to DUI defense, and she will take the stress out of your pending case. At Morell Law Office, you will find the highest quality legal advice and expertise. 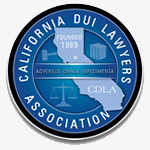 With more than 23 years of experience, we are exclusively devoted to defending Bay Area drivers against DUIs. Serving all the Bay Area cities, we will provide you with a discreet, aggressive defense and will be by your side through every step of the court and DMV process. 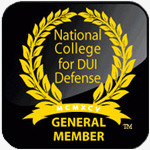 Receive the guidance and representation that you need in the face of your DUI charges. We welcome you to call us at (510)293-9440 or to contact us online for your free case evaluation. Amy is very easy to speak with and understands the stress of a first call to a lawyer. Most of her clients have never had to hire a lawyer. If you have been arrested for a DUI in California, you have 10 days to request a DMV Hearing. If a DMV hearing is not requested, your driver's license or privilege to drive in the state of California could be suspended. The stakes are high - have your case handled properly with an Attorney with over 20 years experience and is familiar with all aspects of your case. You can expect a thorough consultation with your questions answered. Most consultations can be conducted in around 30 minutes by phone (sometimes more depending on the complexities of the case). Possible outcomes to your case. Possible penalties if you are convicted - these vary widely depending on the court where your case is located. Possible consequences on your job and/or professional licenses. Possible consequences on your license. We want you to leave your consultation armed with all the information you need to make an informed decision on how to lessen the impact of this incident on your life. Hiring the correct attorney can make all the difference in your DUI case and consequently - your life. Our job is to keep you out of jail, driving legally & working at your job. Not all law firms are experienced enough or equipped to handle every DUI case. 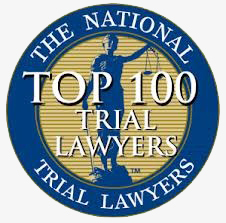 In fact, there are many firms that dabble in DUI defense, but very few that focus their practices 100% on defending impaired driving cases. You need a firm that will give you personal attention and support, and fight for every inch of ground. Amy Morell is an attorney who will not be satisfied until every possible avenue of advantage is explored. She will not rest until everything possible has been done, and all of your questions have been answered, and your fears and concerns addressed. When you hire us, you get attorney Amy Morell as your personal lawyer from the start of your case to the very end. You will always have direct access to her office. She will personally meet you in court. Your case will not be handed off to another lawyer or associate. She will also personally handle your DMV hearing. At the Morell Law Office, we understand that your DUI case is, first and foremost, about you. When you are our client, everything that we do is designed to advance your best interests. You deserve the personal attention that we provide and are invited to call us or fill out the form to schedule your free case review right now. It is important that you know what to expect right from the start. We take the time to make sure that you have the right tools and information to not only succeed in your case, but to feel comfortable and secure along the way. We understand that you are under a lot of pressure in your case and that a lot hangs in the balance. We take your case personally, and your cause becomes our cause. You will always be treated like your case is the firm's most important case, an advantage not available in many larger firms. Call or complete the form to begin your free case evaluation and experience the difference that an experienced and caring attorney, can make in your DUI case. Morell Law Office is a California DUI Defense Law Office and serves the following counties: Alameda, Contra Costa, San Francisco, and Marin. If you do not see your county listed, please call us for a trusted referral.